Calling a taxi can be problematic, and waiting for bus to reach can be very tiring; hence, uberX is such a lifesaver especially for people who are living in the Klang Valley. 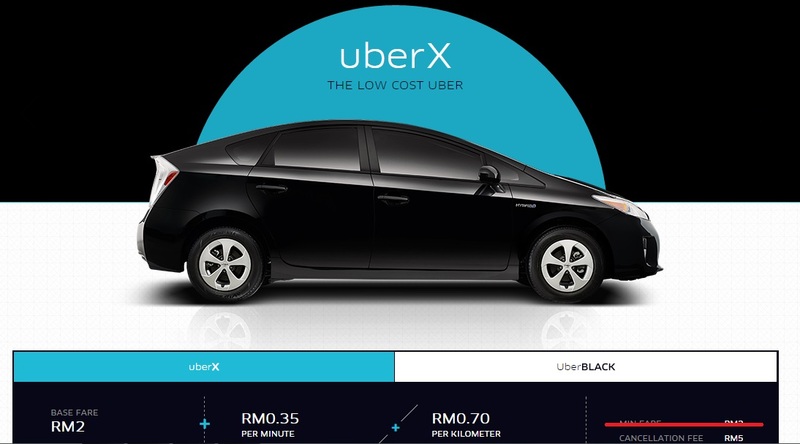 Just couple of weeks ago, we reported that the uberX base fare has increased from RM1.50 to RM2. However, if you’re an avid user of Uber, you probably would have received an email from Uber, announcing that they are now cancelling their “minimum fares”. For new Uber users, the minimum fare was actually set by Uber to help fairly reimburse drivers for short rides. This means that if the combination of the base fare, cost per minute and cost per kilometre is less than the minimum fare, users will still be charged the minimum fare. 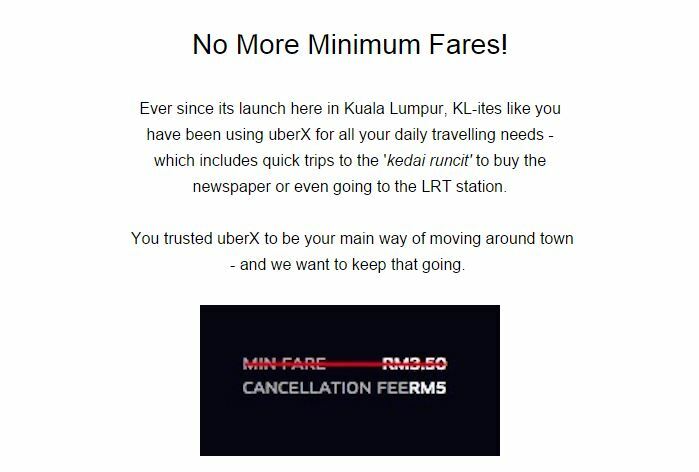 Effective immediately, there will be NO minimum fare to your uberX ride; the base fare is still the same at RM2 and cancellation fees is still RM5. I wondered if I was the only one who received such an email; therefore, I tweeted @Uber_KL to clarify. It’s good to see that Uber is committed to ensuring that their riders get the best experience and value. The uberX services was launched in Malaysia last year in August, and its vehicles for Kuala Lumpur including Perodua Myvi, Proton Waja, Nissan Almera, Toyota Vios and more. If you haven’t tried the service, here’s another reason for you to do so, especially since you will no longer be charged for travelling short distances. The app is currently available on Android and iOS devices. Just download and complete the free registration with your debit/credit card. Uber Sneaks Into Johor, Offers Free Rides For Everyone!